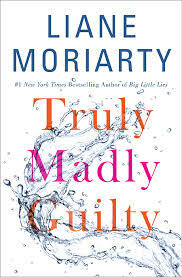 a book chick: "Truly, Madly, Guilty"
my take: First, the cover is fun and matched my beach ensemble. Second, this is a great beach read. Like her other novels, this one is populated with average people who have shared an uncommon occurrence. The novel unfolds slowly, not revealing the event in question until mid-way through. Which gives the reader plenty of time to imagine all sorts of mayhem. my source: Daughter Anne bought with her airline meal voucher when stuck in transit. Smart girl. Did you know you can create short urls with AdFly and get cash for every click on your shortened urls.